Happy Tuesday! 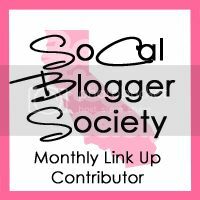 This month, I am the head blogger for the SoCal Blogger Society link up. Check out the bloggers participating below, and link up with us if you’d like! Since Thanksgiving is this week, I would like to share who and what I am thankful for. My mom and dad live in Ohio- 2300 miles away from me (LA). It’s hard being so far away from them, but they do everything they can to make sure I know I’m loved. Whether it’s helping me pay my rent, sending me essential oils to help my immune system, or sending a text to check up on me, my parents are there giving me support. I look up to them so much, and I’m thankful to have such smart, loving parents! Puppies are the best anti-depressants. Ever. No matter how much I’m feeling down, Archie is always there to lick my tears and give me snuggles. He loves unconditionally, and he is a little ball of happiness. Plus, he’s just so dang cute! My boyfriend, Tim, is my partner-in-crime. We’ve been best friends for 20+ years. We’ve been dating for exactly 2 years. We laugh EVERY day. Tim is my backbone; my support system. He loves me for me, and encourages me to live the life I want. I’m thankful to have a partner who truly makes me a better person. It may be silly, but I am incredibly thankful for the weather in SoCal. The abundant sunshine helps my bipolar and seasonal affective disorder bearable in the winter. Even when it’s cloudy and in the 60s, I love the weather. Like, LOVE it. 68 & sunny is my perfect day, and that happens pretty often this time of year. Plus I live 6 miles from the ocean. It’s perfect! I invite you to link up with us below! An InLinkz Link-upCheck out my feature on SoCal Blogger Society and get more info on this month’s link up! An LA Halloween + Archie’s First Outing! For Halloween this year, I was determined to find some type of pumpkin patch in LA. Growing up in Ohio, aka farm land, there were pumpkin patches EVERYWHERE. I’m talking multiple ones within 5 miles of me. I love autumn and all the festivities that come with it! So I wanted to find something Halloween-related close by. After searching the interwebs, I found a family-friendly festival. It was the Cheviot Hills Harvest Festival! Cheviot Hills is down the road (about 2 miles) from Palms, where I live (West LA). I had never been to the recreation center before, and it had all the activities I wanted. I decided to take my new puppy Archie with me! This was his first outing since he came into our family. He was nervous at first (the music was a bit too loud for him), but then he calmed down and had a great time! Archie dressed up as Super Archie! I babysit a young girl who wants to be a fashion designer, and she was really excited to make Archie a costume. She hand-sewed a cape, and Archie loved it (as did I). He wore the costume to the festival and everyone loved it! There was a hay maze, pumpkin patch, bouncy houses, food, crafts, costume contest, and more! There were other dogs there, too, and they were all on leashes and well-behaved. I thought it was adorable though! Another awesome thing about this day was that the 1-year-old I babysit (we’ll call him Jack) and his mom came with me! I wanted Jack and Archie to meet, plus Jack and his family are moving away next week. I figured this would be the perfect hangout! Jack loved the pumpkin patch! The bouncy houses were his favorite. Plus he and Archie loved each other! Archie is only 4.5 lbs, so he’s the perfect size for little Jack. It was great! It was a perfect autumn day (the weather was very fall-like, love it!). I highly recommend the Cheviot Hills Harvest Festival if you’re in the West LA area next Halloween. It was super fun hanging out with Jack, his mom, and Archie! Oh, and by the way, the Cheviot Hills area has a golf course (Rancho Park), playground, pool, tennis courts, basketball courts, and an unofficial dog park. It’s great for year-round activities! Later that night, the neighborhood dogs came over to our apartment (we call it the make-shift dog park) and we passed out candy to the trick-or-treaters three families that walked by. It was awesome hanging out with our neighborhood friends and their pups! The pups all play really well together, and they totally love it (as do we). We dressed Archie up as a pumpkin for the second half of Halloween because it got pretty chilly (and eventually rained– which LA needed badly). The pumpkin costume kept him warm, and it was super cute! Archie had a fabulous first outing, and I had a fabulous Halloween. I couldn’t have asked for anything better! I’m so happy that after almost two years of living in Los Angeles, I finally have that sense of community I’ve been looking for. Various friends literally around the block from me, children and their cool moms down the road, and dozens of new dog friends for little Archie. How was your Halloween of 2014? What did you do? Did you or your pets dress up? You can also subscribe to Archie’s blog by clicking here! Archie In LA is a blog dedicated to finding dog-friendly things to do in Los Angeles!